Let's face it....it is far easier to blame some one or some thing else for the challenges we face. We've all been guilty of it. We learn at a young age that it is far easier to point the finger at Billy over there (yeah, he's the one who did it), than it is to face up to the fact that we did something wrong or made the bad choice. No, this post isn't about assigning blame to you, or anyone else for that matter......it's about our tendency to blame problems on outside forces, more accurately to blame problems on factors that aren't the actual problem. I tend to hear a lot of griping about the Common Core State Standards. Have you heard about those things? Once or twice maybe? To be honest, I'm a little tired of it. There are a myriad of reasons for the blame: They are too rigorous. They are too age inappropriate. They are too many. They are signs of Federal Government control. They were created by Republicans. They were installed by Democrats. It's a Socialist Conspiracy. They were influenced by Publishers and Education Businesses (I tend to buy into that one). The thing is, I think many of us (at least educators in Wisconsin) have to admit that our previous standards were a little weak, way too many, and our bar was set a little low. To me, the new standards are a gift sent at a time that it was sorely needed. They provide direction without declaring the content. They are focused on skills, deeper learning, critical thinking, analysis and creation of products that all directly deal with real life application as compared to the previous standards which dealt with......passing a multiple guess test. What do I really see in the complaints? Fear. 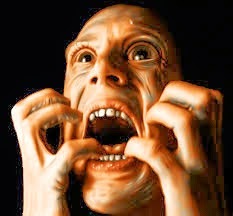 Not, "oh I'm scared!! Run away! Run away!" No, I mean the fear of having to learn new things. Fear of not having enough time. Fear of not knowing what is okay to throw out from the old. Fear of technology integration. Fear of how kids will adapt. Fear of raising the bar too high. Fear of kids failing new tests. Fear of that student failure reflecting on a teacher's performance. Are some of these fears valid.....to a point, yes. We have significantly raised the bar of expectation. Is that a bad thing? I think not. Raising the bar of expectation for me, has always forced me to improve. Of course bar raising is often done by outside forces like your boss, your spouse, your district or even your government. So, we see it as something we have to do, reluctantly maybe, but we do it, because we have to, or because we do realize it is what is best for kids, but we do it. Besides raising the bar though, we have also significantly increased the rigor and complexity of the tests. They absolutely will be tougher than the previous multiple guess tests we used to hand out. Of course, even that may not be the scariest part. The big fear factor seems to come from the fact that now these tests affect a report card that each school gets. A report card that is designed to look amazingly like a 0-100% scale. Also an interesting thing that is taking place, the Governor and many Legislators from Wisconsin (can't speak for other states) would also like to impose accountability measures for schools that do not perform well on their state report card. There is pressure to recall the Common Core State Standards and create more rigorous standards that would be created by a legislative panel. This is all taking place of course, while school funding is being reduced. So, it is getting easy to see where some of the teacher fear comes from. My concern though is that it is constantly blamed on the Common Core State Standards. Is that really what we should be fearing? Are the standards really what we should be blaming? 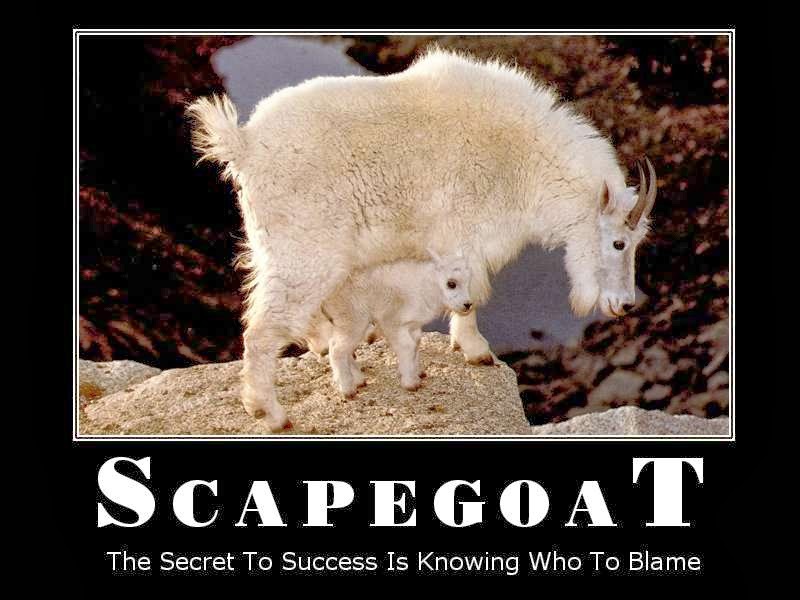 Or have they become an easy scapegoat for all of the other messes going on. What truly are the things that are causing instability and insecurity in this noble profession? 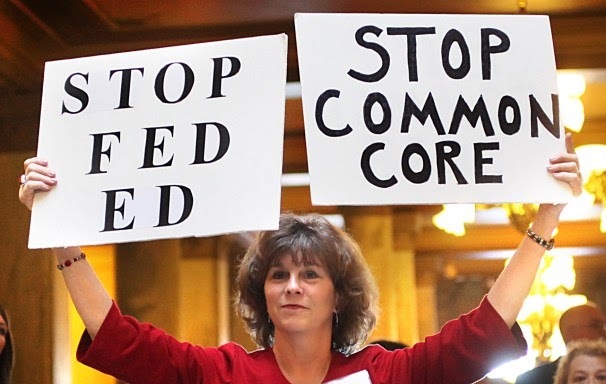 I have asked my staff to stop even using the term Common Core State Standards. We just call them the standards. We are choosing to focus on the skills our kids need for today. If we are truly preparing our students for the world they will be entering, then we will easily meet the standards. And more importantly than them passing a test, they will be ready to pass into our society and be successful people, employees and citizens......and that is what we need more of. I agree with you! We need to take time to adjust our teaching and provide our students with the best learning opportunities to help the students master the standards required of them. Another great cause of fear there Brian. The pace of all the changes coming at teachers has also left them fearful of how to adapt to these changes so quickly. Yes, I think we need to soldier on, but I so badly want them to do it without fear, so they can be focused, and without scapegoating some really meaningful standards. I hear you Tom. 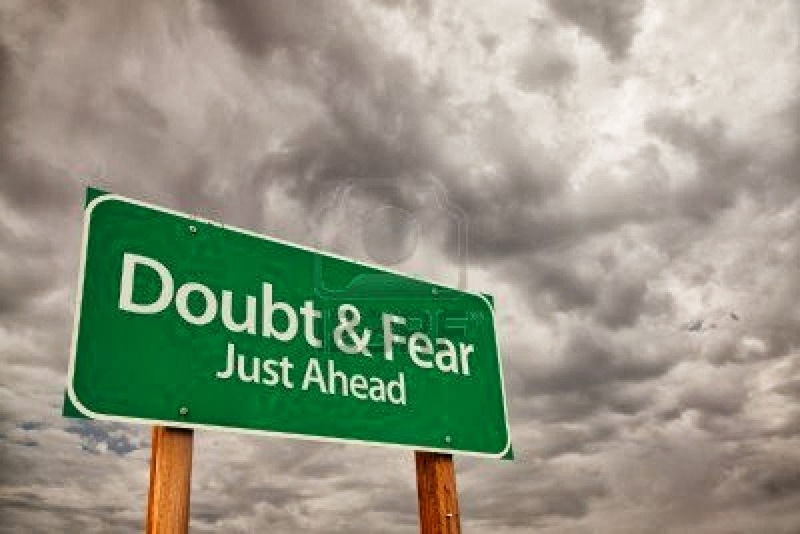 Dr. Deming had 14 points of Quality Management and one of them was to Drive Out Fear. It is so hard when teacher pay and job security is tied to test scores. In a day and age in which collaboration is vital, teachers now work alone for fear of giving another teacher the edge by sharing a great resource and strategy. That's one reason I love Twitter PLN so much. The openness to share ideas and encourage one another. I appreciate your willingness to share your insights and journey as an educational leader. Well done Tom. This is a national problem...blaming, excuses and "deflecting". In my perfect world we would not have Standardized Tests...but my perfect world doesn't exist. Attitude is everything, we as educators must have a positive attitude about EDUCATION! My best advice is to focus on the kids and share the positive stories coming out of your classroom or school. Tom, I really appreciate what you've written here. Fear can be paralyzingly to some, and change of any sort requires us to process and assess how it will impact the world in which we live. This is true both in school and in life. The line I appreciate most from your post is, "If we are truly preparing our students for the world they will be entering, then we will easily meet the standards." Your line above is one that we as educators should contemplate each day. It will make us focus on what must be done to build capacity...and promote growth and success.